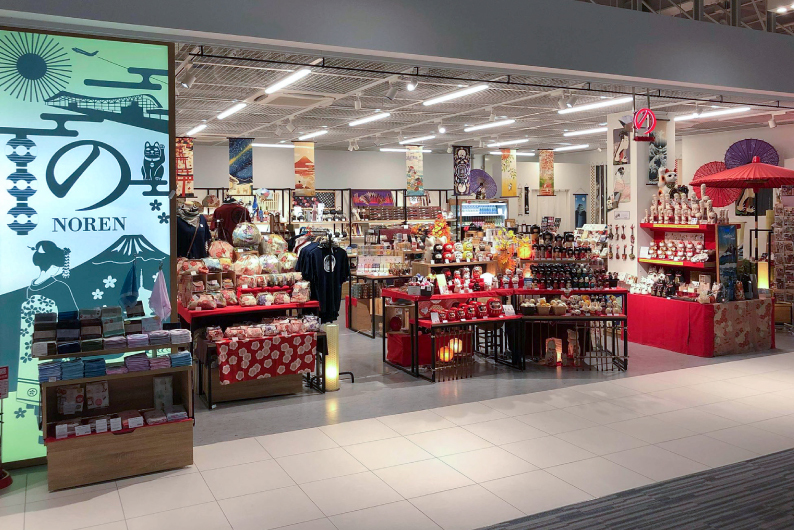 Kansai International Airport T2 ｜ のレン ｜ NOREN ｜ Discover Wonderland, Japan! 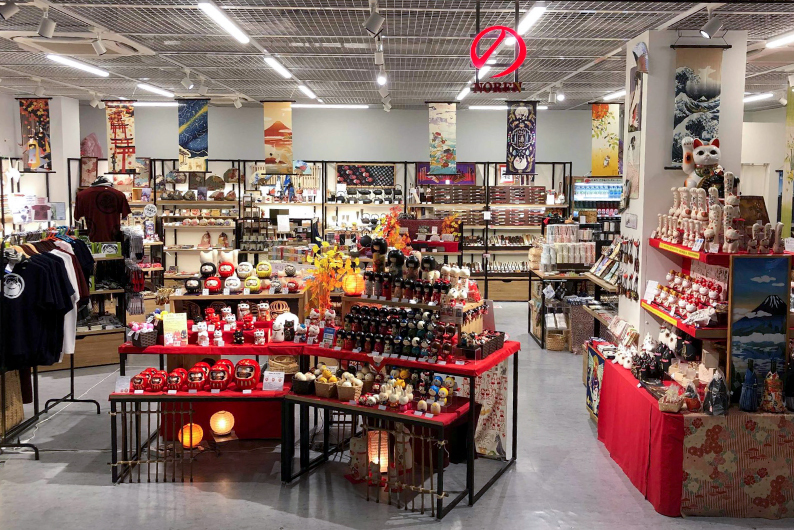 Need to pick up last-minute Japanese gifts? Or just want some food for your flight? 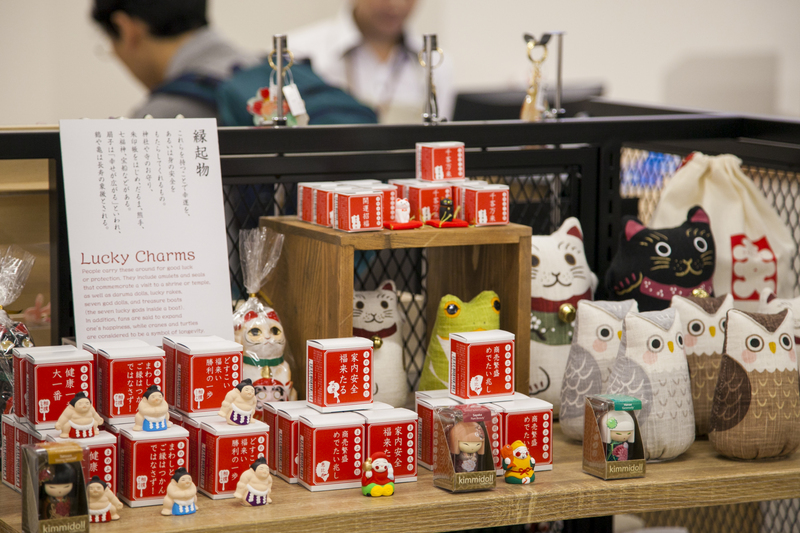 is your last chance to buy that special souvenir before you fly home. 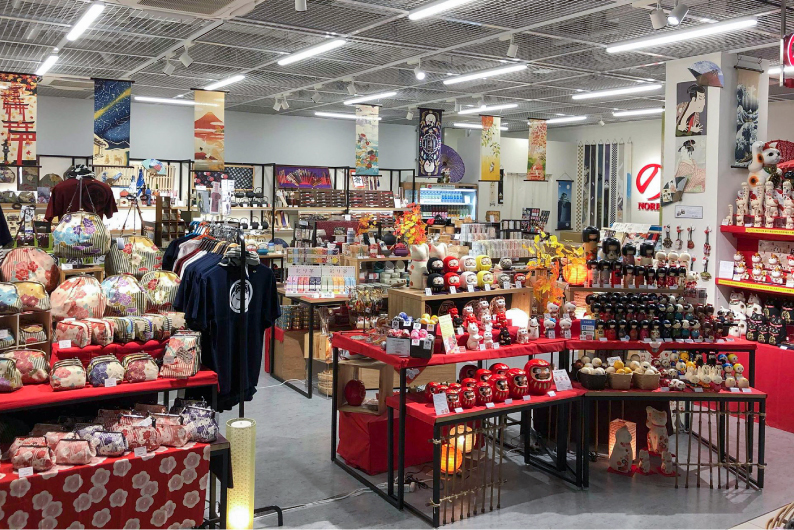 Located across the water from the airport, this sophisticated shopping hub not only offers world-famous brands at outlet prices but you’ll also be able to sample a variety of cuisines from across the globe. After all the shopping, you’ll definitely be hungry! Kids and adults can learn all about aviation technology at this fantastic mini-theme park inside the airport. 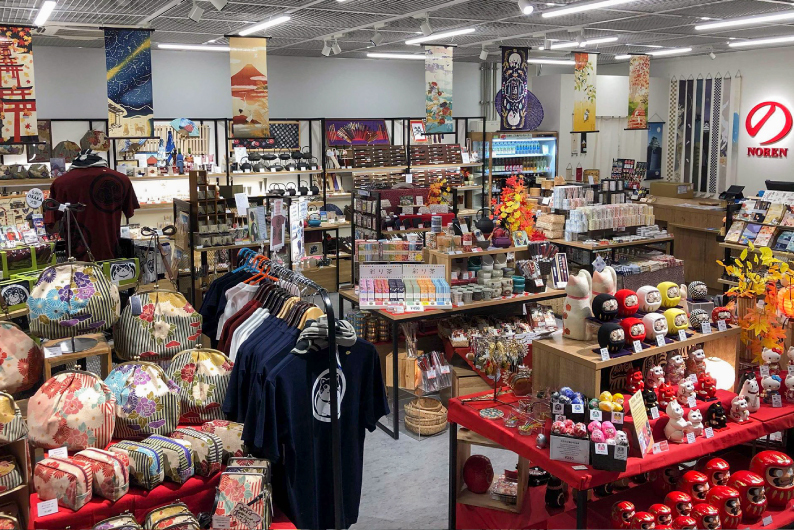 Study the history of the airport, as well as airplane mechanics, and watch aircrafts taking off and landing from the open-air observation deck. 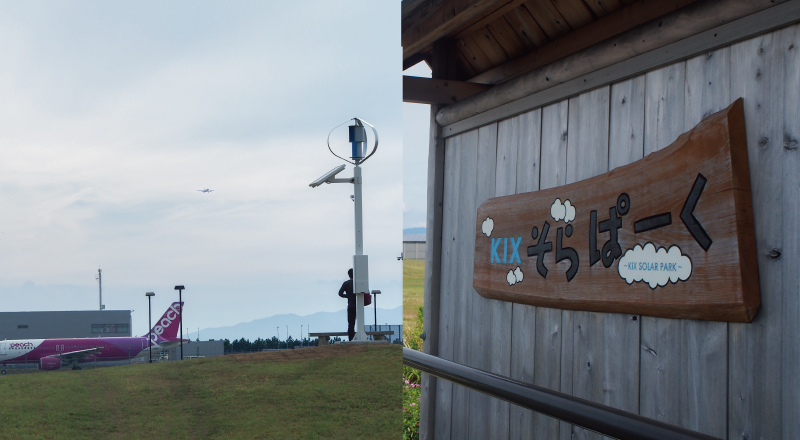 You can even join a tour of the airport’s secret areas before enjoying an inflight meal at the restaurant. 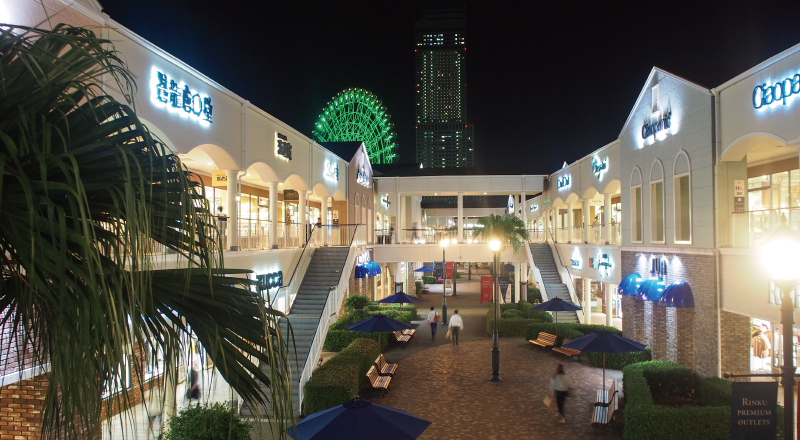 Located right next to the Terminal2 of KIX, this pleasent park is a great place to relax before leaving Osaka. 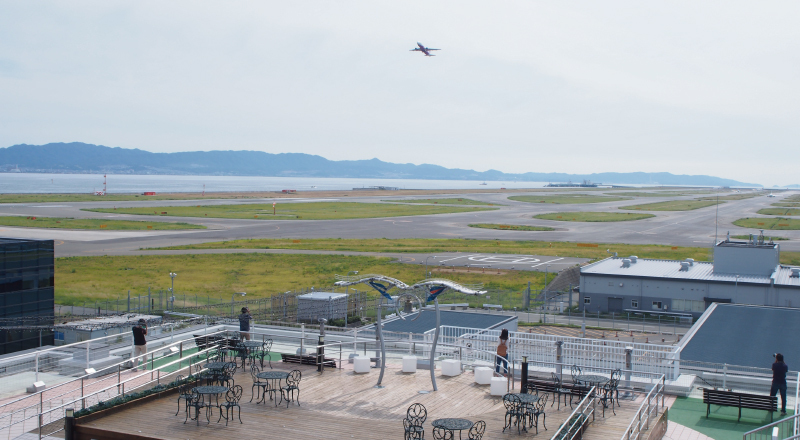 If the weather’s right, head to the spacious grass field with some Osaka speciality takoyaki (or a sandwich and a cup of coffee) for a picnic as you watch the airplanes flying overhead. 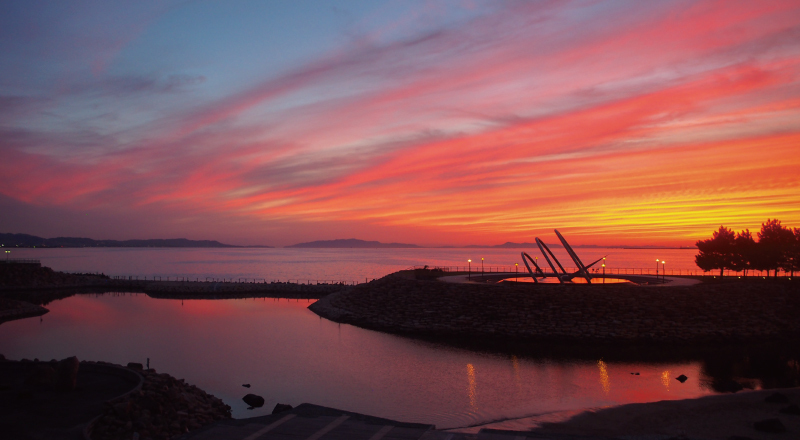 Chosen as one of the 100 top sunset-watching spots in Japan, the spectacular view of the sun setting over the airport is a must-see in Osaka. Walking along the beautiful white pebble beach is a wonderful way to make the most of the experience. 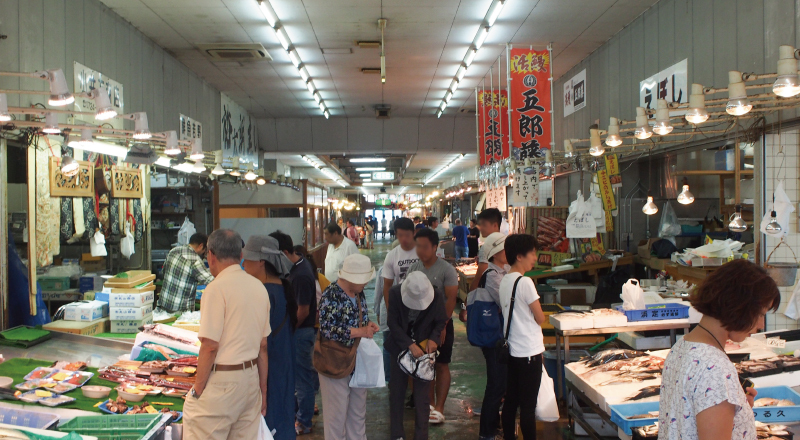 If you’re craving some seafood before you get on the plane, visit this fish market run by the local fisherman association. Don’t miss the chance to buy some seafood and bring it to a restaurant, where they’ll cook it for you there and then!